Cate: Please welcome Margaret West. Margaret, will you please share a short bio with us? Margaret: Morning Cate. Thanks for having me. Here is a bit about my life. Born in England, Margaret moved to the Kent countryside five years ago to get away from the busy life in London. She married with two grown up children and has worked in various fields of work. She is a Clairknowing medium, Crystal Therapist, Parapsychologist and Psychic Development tutor. 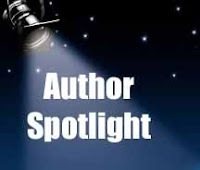 She’s been writing over 20 years and has numerous short stories, novels and articles published. Margaret writes romance and paranormals, incorporating her spiritual experiences into her books. Cate: Tell us about Abigail Cottage and where it's available. Margaret: Abigail Cottage is a dark paranormal. Much darker than I usually write. It is a mixture of romance, lust with murder and intrigue. It will be released in a few weeks but I have a pre order link if anyone wishes to use it. Margaret: Do you really know the person you love? How many of us hear the words, I never thought he/she would do that or it was so out of character for him/her to stab, chop, punch or generally terrorize the public. When Abigail falls in love with Justin, she can’t begin to know the world of hurt she is heading into. Gorgeous, kind, rich – he’s the man we all dream to meet. BUT, all is not what it seems because Justin is a true demon from hell, disguised as a mortal being. He wants her and will do, kill or maim anyone who tries to stop him. Namely Shaun the real hero, who wants Abigail more! So what does a mortal man do against a demon? He enlists the help of a gypsy of course. But not any old gypsy. Rosa knows Justin very well and has the powers of the spirit world on her side to fight him. Using crystals as a powerful weapon, the light of the spirit world to lead them, they embark on a battle with the whole of the underworld. Many loved ones will lose their lives. This isn’t a book where everyone survives. In real life, bad things happen. In Abigail Cottage, terrible tragedies occur too. Look out for Abigail Cottage in December and no, not every story ends well! Cate: Having read it, I can say what a great read it is! But can you tell readers why they're going to love your hero? Margaret: Shaun has a real heart of gold. He will do anything for anyone and when he falls in love, its forever. You will love his charm, wit and sense of chivalry. His determination will spur yours, his pain will move you. Shaun O’Donnell is a man that you can’t forget. Cate: I agree, but won't give anything away. Tease us with one little thing about your fictional world that makes it different from others. Margaret: Being a spiritualist I have a little bit of inside information and I have combined true facts about the spirit world with fiction. So you’re never quite sure what might be real and what is probably pretend. Margaret: I have a new release with Eternal Press in January 7th. A comedy romance called Spirit Intervention. I’m half way through another romance called Crystal Magic, hopefully that will be out later in the year. Cate: You're very busy! What inspired you to draft your first story? Margaret: I wrote Abigail Cottage over 25 years ago originally. My inspiration being the script writers of the James Bond films. I used to work for Eon Productions. I actually wanted to emulate them, but it ended up a novel and I’ve never looked back really. Margaret: No. I know, I’m bad. I just hop on my computer as and when I can. Margaret: Yes, what drives you to write? With me, it's second nature. I can form a story in my mind just by looking at a person, event or place. Cate: Congrats on your upcoming releases Margaret! I wish you all the best with them. Thanks for being my guest. Thanks for having me cate. I'm not stalking you, honestly lol But I did pre order your book. Can't wait. Sooo, A dark paranormal huh. Mucho different from your other books I see. How interesting. I pre ordered too!!! You wrote it over 25 years ago? Wow! Nice book signing pic, btw! I've heard rumours that this novel will be in the stores. How glorious! Can't wait to read it. Off to pre order now and collect my soap!! LOL thanks faith. Yup, 25 years ago. Thank you to those who are pre ordering. LOVE you girlies!! Welcome Margaret! Love the cover of Abigail Cottage - I'm glad they changed it for you! It was nice to see you in the hot seat for a change. thank goodness a decent cover photo was found for your book. If your others are anything to go by once I start reading it I won't be able to put it down until it's finished. Will now go and pre-order and wait patiently,(hopefully), to recieve it. You've led such an interesting life, Margaret. Your book sounds very interesting with a lovely cover. Nice to find out more about you. Wow, you certainly have a large audience waiting to read the novel that finally made its way to us. Count me in. I'm one of them and really looking forward to reading it.